Hello everyone: The other day my youngest daughter, who happily lives next door to us, ask for 3 birthday cards, two of them for her nieces in law, both adult young ladies and one for her brother in law, who was turning 52 and I said "no problem....." but, there was a problem, I had plenty of cards for ladies but just a couple for men and both of them were for Father's Day so, I had to tweak one of them changing the sentiment and that was it but, this made me realize I really never make cards for guys, I have some sets that I can use for this purpose but I just don't do it so, I will make a sincere effort to create at least one masculine card a week so I can start building up my meager stash. Here is this card that I will link up to a few challenges at the end of this post. This sweet little squirrel stamp has been with me for a long, long time but I rarely use it, I think it's from North Woods but I'm not really sure. She looks just like the squirrels that run around in my back yard trying to climb the bird feeders even if I do put food for them. I stamped this image on watercolor paper with Stazon black ink and colored it with Prismacolor pencils, I sponged some Tumbled Glass distress ink for the sky and added a couple of leaves and acorns I colored and fussy cut from a retired SU set called "Gently Falling" that came out back in the 2011-2012 Holiday Catalog, I embossed the background panel with the also retired SU embossing folder called "Woodland", the sentiment is from SU "Kindness Matters" (retired). 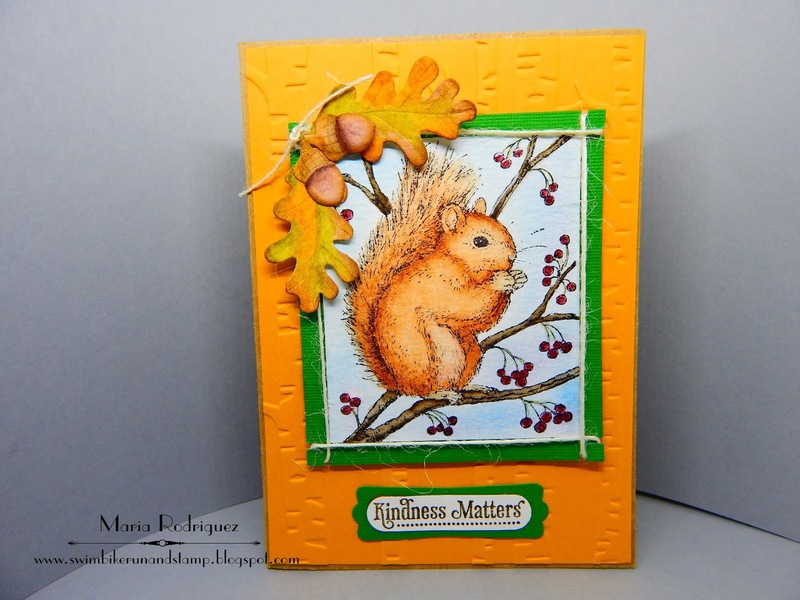 The sentiment is from my stash of unknown quotes, the branch is from the squirrel stamp. 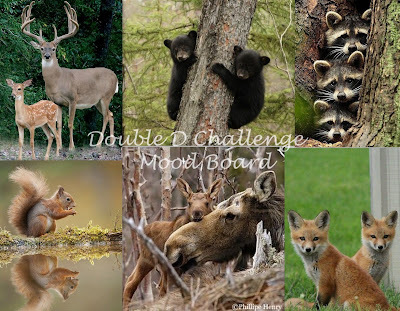 Double D Challenge "Woodland Creatures"
Inspire Create Challenges #012 "Animals"
Pause Dream Enjoy Challenges #9 Use a stamped image. 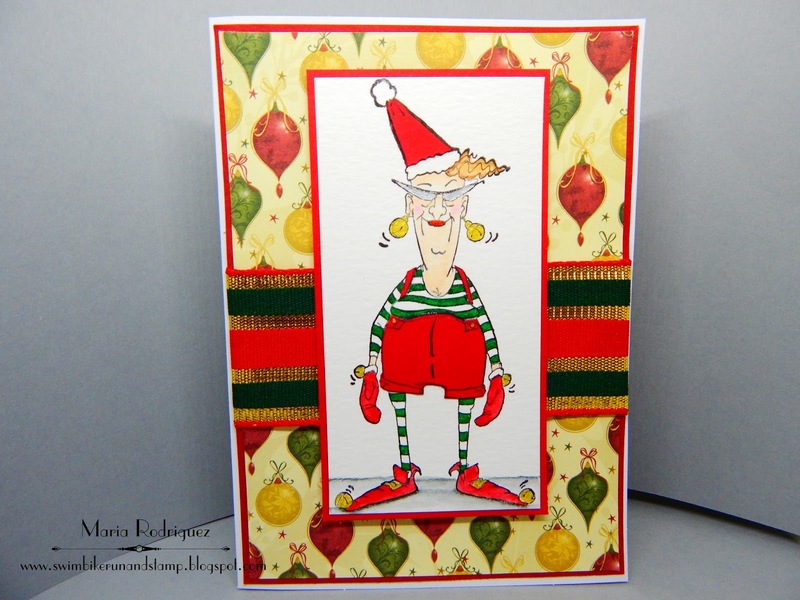 Hello blogging friends: I have a fun card to share today made with one of the most hilarious images I've ever seen from Art Impressions called "Santa's Helper Eunice", I mean, just look at her, from the top of her Santa's hat to the tip of her Elf shoes, she is a vision, love her. I saw a card on Pinterest with this image so, I went looking for the stamp at the Art Impressions online store only to find out this fun image is discontinued, Arghh!! 😢, I don't know why something this fabulous is just gone. But, I was determined to find it and so I went hunting for it and, as in most cases when I'm looking for discontinued or retired stamps, I went to Ebay and, well.....there she is, Ms. Eunice, looking simply fabulous. I stamped the image on a piece of watercolor paper and colored it with SU markers, but the hat and the pants were stamped on red cardstock and fussy cut, I was not too happy about how the Real Red marker was behaving on her pants, but I did color her mittens and her shoes with it. The green stripes on her blouse and stockings are done with the Garden Green SU marker, her earrings, the bells on her shoes and mittens were colored with a gold gel pen. Her face was colored with a "Peach" Crayola Marker that was part of a pack of 24 markers that belonged to my grandchildren when they were little. The pattern paper is from my stash and so is the ribbon. 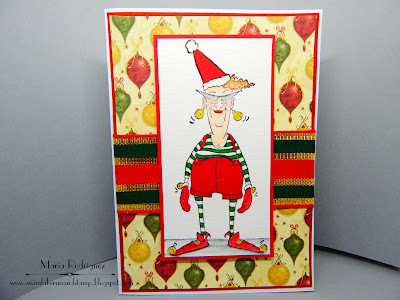 The Merry Christmas Challenge #9 "Anything Christmas Goes"
Hiding in My Craft Room Challenge #341 "Any Holiday"
Hello blogging friends: The RETRO RUBBER challenge has a new one for you to play with, this time is a great sketch by Claire Grantham that has tons of possibilities. 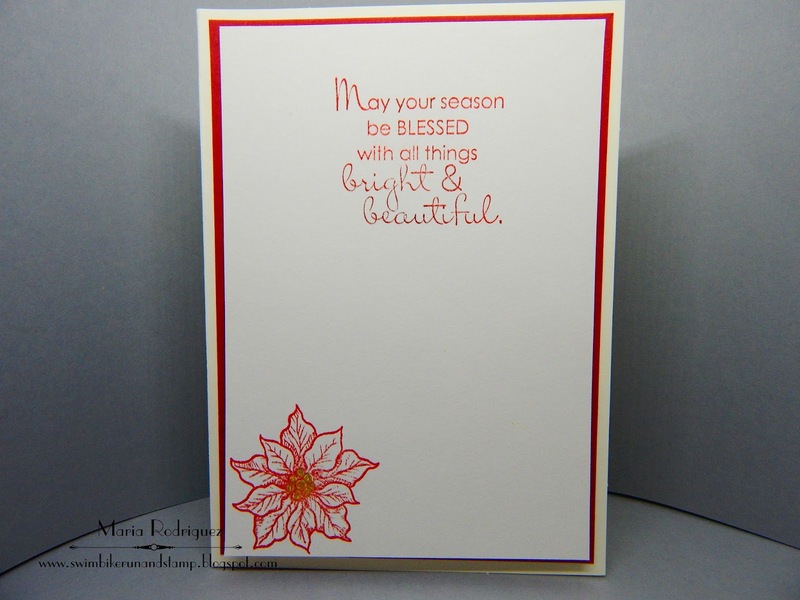 So here is my card that I hope you like and find inspiration with to come join us in the gallery. 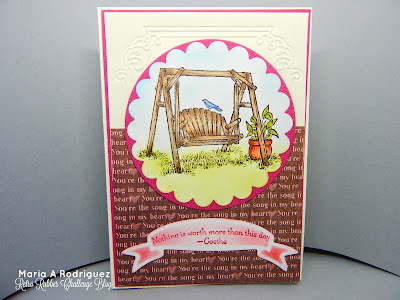 This image is from a retired stamp set by Stampin' Up! called "Summer Afternoon", it was released back in the 2012-2013 Idea Book and Catalog. Love, love all the images on this set. 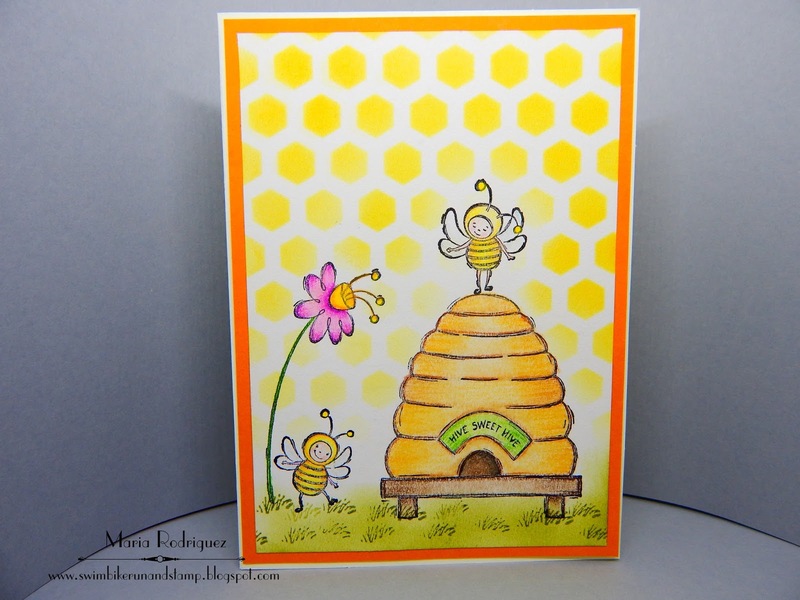 I stamped this one on some watercolor paper with Stazon black ink and colored it with SU markers and Prismacolor pencils. 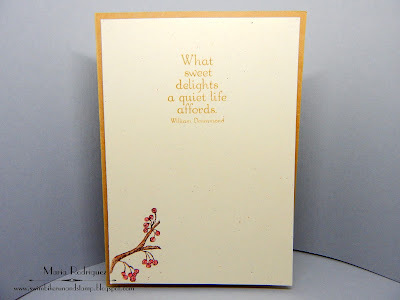 The sentiment is from the same set and the pattern paper is from a retired line by Lili of the Valley. Here is Claire's fun sketch. 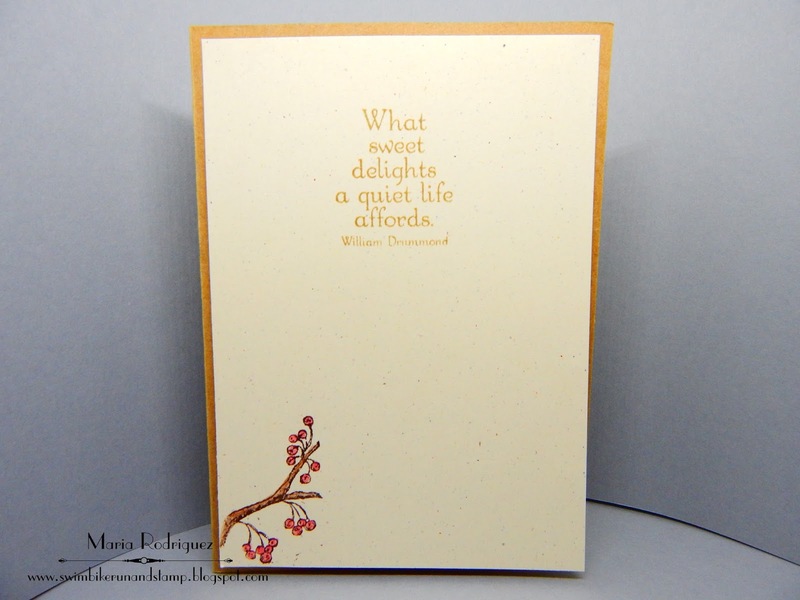 The decorative image on the top is from a set by SU called "Delicate Details" which was in the 2017 SAB catty, the sentiment is from a retired Flourishes set called "Around the Arbor" and the little basket of flowers on the corner is from another retired Flourishes set called "Zinnias". I hope you feel inspired to come and play with us at RETRO RUBBER and for more inspiration, stop by the blog and check out my teammates creations. A Honey of a Day!! 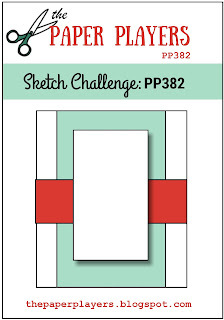 Hello dear blogging friends: It's time for another fun challenge over at SHOPPING OUR STASH and the theme is STENCILS. 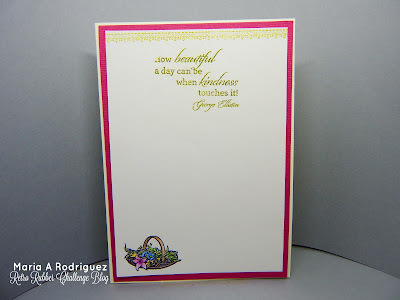 This fun tools are not often used, at least by me, I have a few now and I used one of them to create this card. I hope it inspires you to come and play along. This images are from a retired SU set called "Just Buzzin' By" that came out in the Spring-Summer catty in 2009 and it's one of my most favorites, this little bees are adorable and super cute. I stamped the images on watercolor paper with Stazon black ink and colored with Prismacolor pencils and then, I sponged Hello Honey ink using a honey comb stencil. I also sponged a bit of Peel Paint distress ink for the grass and stamped a few sprigs with a little stamp from Art Impressions. The sentiment and the little bee are also from the set. 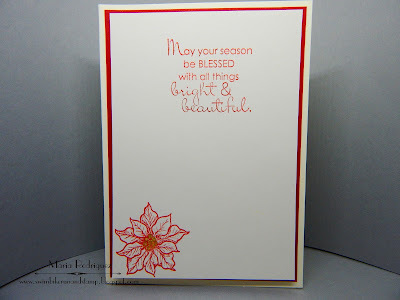 So I hope you go to your Stencil Stash and come and join us at the SHOPPING OUR STASH challenge blog. Don't forget to stop by my teammates blogs to check out their awesome creations.